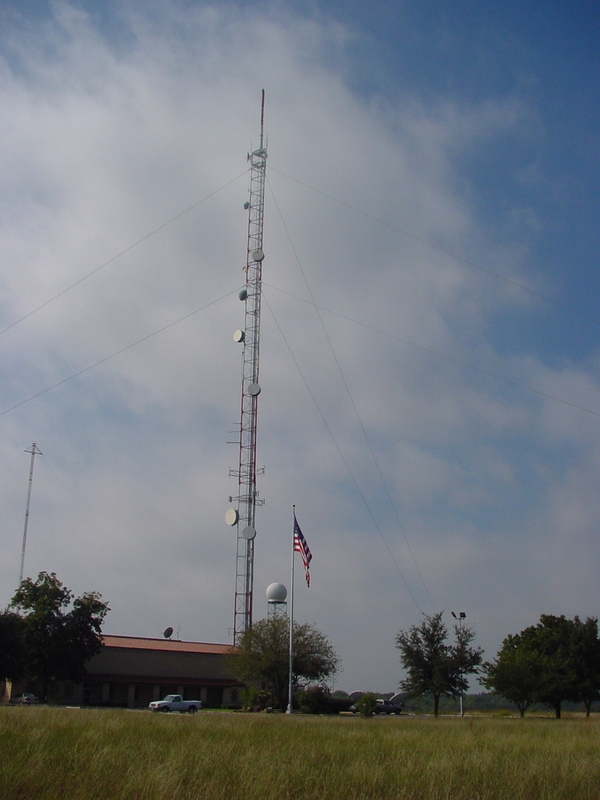 This is the first of the two towers at the KXAS studios. This one is loaded with STL and ENG antennas. Copyright 2002, Garrett A. Wollman. All rights reserved. Photograph taken 2002-10-12.